In these hard economic times, we will all benefit from a doctor's misdiagnosis of Guns N' Roses. 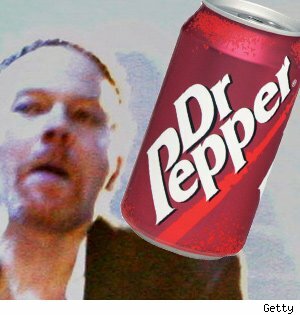 The honchos at Dr. Pepper made a promise back in March that everyone would get free soda if G'N'R released another album. It seemed like a good bet, after Axl Rose made false promises for 17 years. But the day has come, so everyone can now log onto DrPepper.com and get a free 20 oz soda. But they're not making it easy -- they'll send you a coupon that will get to you in 4 to 6 weeks. Bastards.